The technology that was slated to make microarrays obsolete has actually helped make them better. Sequencing seems cheaper by the day, so much so that it’s increasingly rare that scientists set out to do genetic and genomic research using arrays. However, given the availability of new and improved products and experimental approaches, some researchers are—preferentially—choosing chips. The technology that was slated to make microarrays obsolete has actually helped make them better. Case in point: new exome arrays, like those available commercially from Affymetrix and Illumina. The sensitivity and specificity reported for such chips could not have been possible without extensive sequencing work, which greatly informed their design. Considered an intermediate between standard genotyping arrays and exome sequencing, exome arrays present a cost-effective approach for studying large sample sizes in search of common variants, down to the singleton level. Dr. Abecasis is one of several scientists from a handful of institutions working collaboratively to design and evaluate exome arrays. They’re basing this work on published variants derived from past sequencing studies involving more than 12,000 individuals. 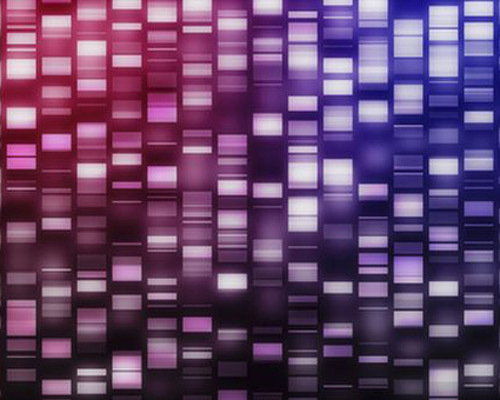 “I see exome arrays as bridging a gap between genotyping-based association studies of common variants and sequencing-based studies of rare variants,” Dr. Abecasis says. “Studies that aim to survey protein-coding variation in very large numbers of individuals are very well-suited for exome arrays,” he adds. The University of North Carolina at Chapel Hill School of Medicine’s Karen Mohlke is using these chips for such a study. Along with her colleagues, Mohlke, Ph.D., associate professor of genetics, is examining exome array data from thousands of individuals in search of low-frequency coding variants associated with metabolic traits. In a February Nature Genetics paper, Dr. Mohlke and her colleagues identified low-frequency coding variants associated with fasting proinsulin concentrations at the SGSM2 and MADD GWAS loci as well as three new genes—TBC1D30, KANK1, and PAM—associated with fasting proinsulin or insulinogenic index in a cohort of 8,229 nondiabetic Finnish men. A corollary conclusion accompanied the researchers’ results: “This study demonstrates that exome array genotyping is a valuable approach to identify low-frequency variants that contribute to complex traits,” Dr. Mohlke et al., wrote. Genotyping array analysis is fairly straightforward, giving users an edge over examining raw sequence data for certain studies. Because particularly rare and population-specific variants often do not make the design cut, exome arrays “only represent 70 to 80% of the variation in any one exome,” Dr. Abecasis adds. As a result, Dr. Mohlke at UNC suggests weighing cost vs. array content from the get-go. “If I were studying a population group for which the lower frequency and rare variants were not included on this array I would either add them to the existing array or design a new one, if that were technically [feasible] and cost-effective to do,” she says.